Galaxy Note 9 and the Galaxy Watch were the two of the main attractions of the Samsung’s launch event on August 9. The company also spent time talking about the evolution of its smart assistant Bixby and a new smart speaker which gives voice to Bixby 2.0. However, the product that got the least attention on-stage was the Samsung Wireless Charger Duo, which can charge – rather, fast charge – two different devices at the same time. The wireless charging dock is now available in the US for sale for a price of $120 and can be ordered in black or white colors. 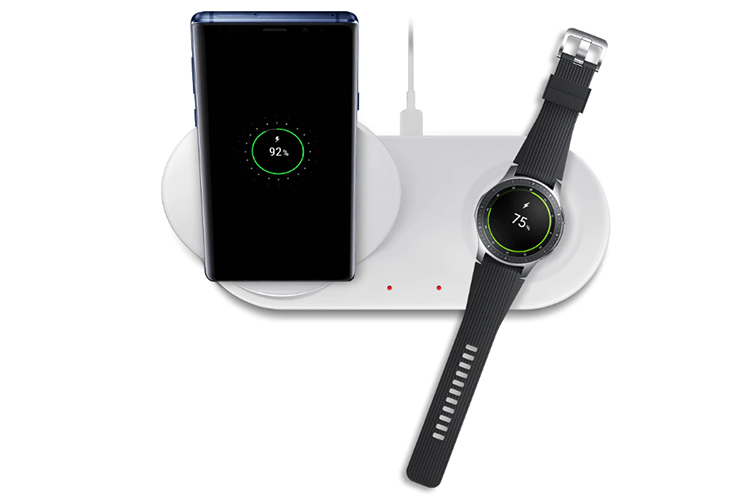 The Samsung Wireless Charger Duo offers two distinct positions in which either a smartphone or a Samsung’s smartwatches can be charged. One is an inclined stand so that you can easily look at the smartphone’s display to check notifications and ignore the ones that are not important. The other is a grooved area one which a smartphone or a smartwatch can lie flat. Both of the charging spaces support fast charging at 7.5W, and while Samsung would appreciate if you only use its smartphones and smartwatches, you can charge any device which supports wireless charging. This is because the charger is compliant with Qi’s wireless charging standards. The official website says that you can charge iPhone 8 and iPhone X apart from Samsung smartphones using this the Wireless Charger Duo. 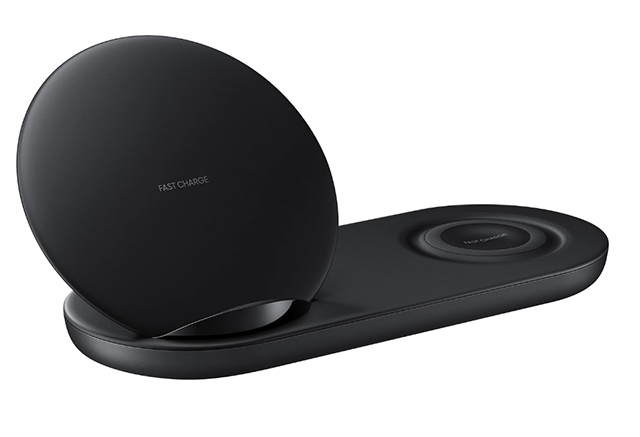 Besides the new-age Galaxy S and Note series devices, the wireless charger also supports Galaxy S5 and S6 which is great if you still have these devices. 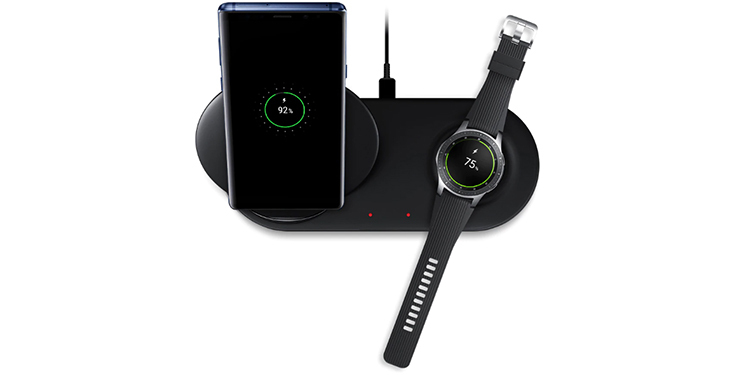 Aside from Samsung Galaxy Watch, you can also charge Gear S3 and Gear Sport on this wireless charger. The Samsung Wireless Charger Duo also has a fan to purge heat out of the charging pad. For all of these features, Samsung has priced the charger at $120 which might not be an issue to anyone who’s already willing to spend $1,000 on the recently announced Note 9.